The Working of Herbs, Part 1: Did Herbal Recipe Ingredients Really Work? As a clinical herbal practitioner with a research background in the history of medicine, I am sometimes asked the question: ‘Did the herbs work?’. In this post, the first of a series (The Working of Herbs), I consider how we might examine whether medicinal plants in recipes might have worked. What are the herb constituents (phytochemistry and pharmacognosy)? What research has been done on the effects of medicinal plants (herbal pharmacology)? Should we be thinking about efficacy (historiography and medical history)? Do we know the parts of herbs, the preparation and dosage of the recipe (pharmacy)? 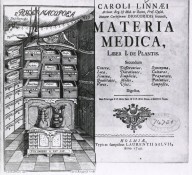 [Pharmacy: Illustration of pharmaceutical chest] Carl Linnaeus, Materia medica, Liber I. De plantis (Holmiae – Laurentii Salvii, 1749, title page & frontis). Courtesy of the National Library of Medicine. It is unsurprisng that historians often avoid raising the question in the first place. But I believe that we need to clarify the potential effects of medicinal recipes, and I have been thinking about how to establish a rational protocol for answering this question in relation to a medicinal recipe. I hope that other readers will chip in with their thoughts and useful advice! Figure 2. [Plants of medicinal value to particular human body parts], Michael Bernhard Valentini, Medicina nov-antiqua (Francofurti ad Moenum: Joan, Maximiliani à Sande, 1713, fol. 286). Courtesy of the National Library of Medicine. A discussion of how herbal ingredients of recipes might have worked raises at least three problems of historiographical concern. First, we need to be aware of ‘presentism’. Current knowledge about plant constituents and medicinal effects can easily influence our view of what people knew/did in the past. Second, implicit assumptions that the use of medicinal herbs was connected to therapeutic efficacy should be questioned since there might have been other reasons for their use. (Figure 2 shows the links between plants and body parts, some of which were probably based on shape). Third, some authors suffer from what I call ‘plantaholicism’–overly sympathetic and exclusively plant-focused view of the past. This may provide a narrow viewpoint, particularly when we consider that many other items were used in the materia medica including animal and mineral ingredients. I fully understand that I may be guilty at times of demonstrating all of the above problems, and part of my rationale for drafting these posts is to help to clarify how to manage these issues. This post flags up some problems in trying to assess efficacy. Although my examples in this series will be drawn from early modern sources, I hope that some points made will be relevant to other periods. 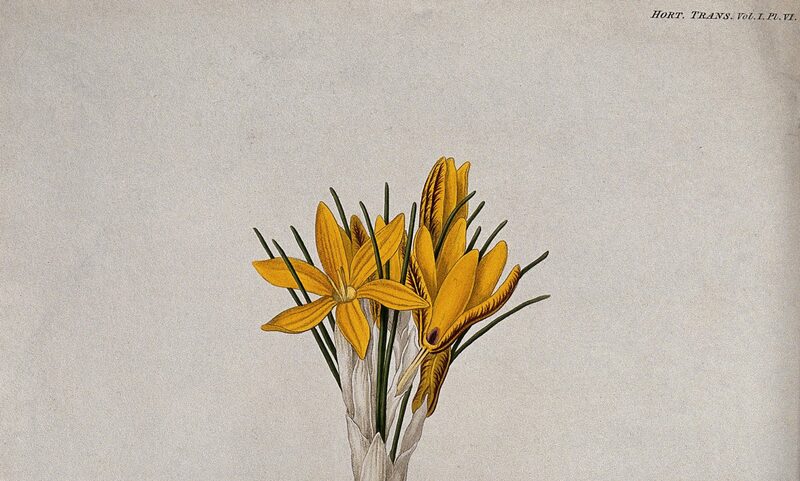 In further posts in this series I aim to provide some pointers for historians and others looking at recipes who wish to seek out reliable sources and information about herbal constituents and their actions. See for example, classical pharmacology in Laurence M. V. Totelin, Hippocratic Recipes: Oral and Written Transmission of Pharmacological Knowledge in Fifth- and Fourth-Century Greece (Boston: Brill, 2009).